Explanation: Did you see the transit? 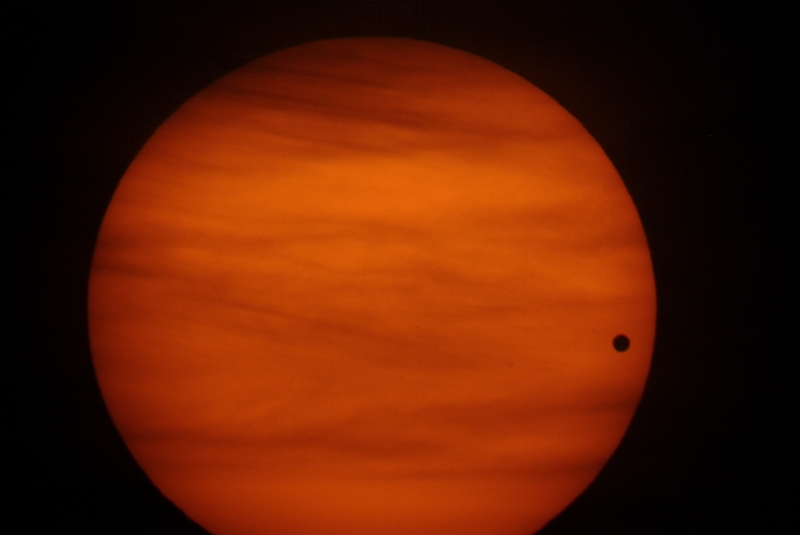 While some watched by webcast, sky gazers in Europe, the Middle East, Africa, and Asia were able to witness the complete 6 hour journey of Venus' silhouetted disk across the face of the Sun. 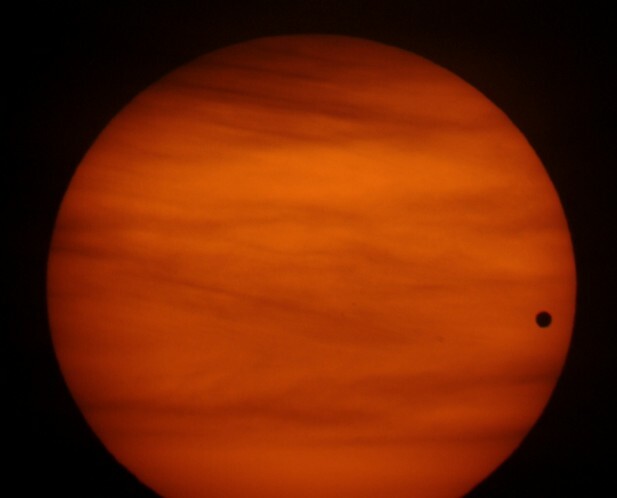 As seen from North America, the much heralded Venus Transit of 2004 was nearing its final stages at sunrise yesterday in this telescopic image. The view looks across the Atlantic from Tybee Island near Savannah, Georgia, USA. In fact, many in eastern North America experienced a dramatic view of a perfect, dark, round Venus against a reddened Sun filtered by banks of low clouds. Ironically, the Sun takes on the appearance of a cloud covered planet itself as Venus marches toward the right through this dreamlike scene.